The Monarch plugin from Elegant Themes is not included, however, we did add the export file. Download and unzip the ‘Lifestyle_Child_Theme.zip’ file to your computer. Locate the lifestyle.zip file in the Lifestyle_Child_Theme folder on your computer and then click Install Now. When the install is complete click on ‘Activate’, you will then see the Lifestyle Child Theme as the active theme in your theme panel. Click on Import and upload Lifestyle Theme Options.json. Click on Import and upload Lifestyle Customizer Settings.json. 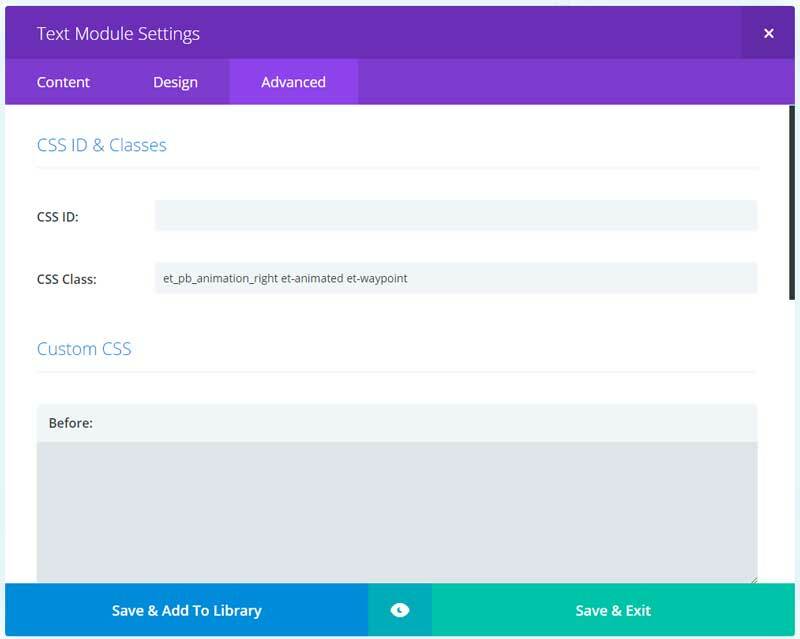 Click on Import and upload Lifestyle Builder Layouts.json. Go to Extra > Monarch settings. Click on the import/export options (up/down arrow). Click on import and upload Lifestyle monarch-settings-export.json. If you don’t have the Monarch plugin you can use the social media follow module instead. For the triangle/arrow in the menu I used a white image. The URL for the image is coming from the demo website. It is better if you upload the image to your own hosting. To do this follow these steps. Change the background-image url with you copied URL. To modify the background and the contact button of the menu go to appearance > editor. 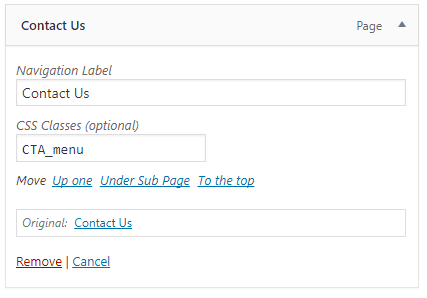 You need to add the class CTA_menu to this menu item (If you don’t see the class field go to the top right and click on Screen Option and check CSS Classes). To modify the background and the text color of the contact button go to appearance > editor.